What makes BORDEAUX so SPECIAL? 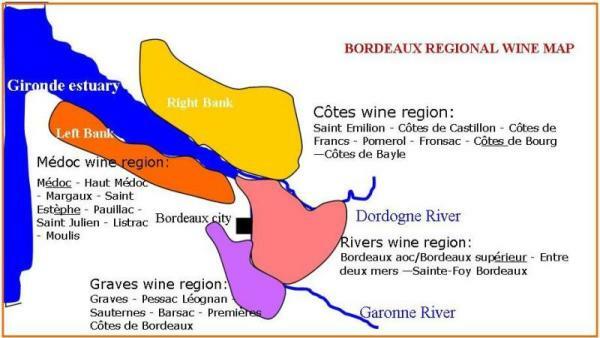 The Bordeaux wine region covers a vast area being presently 120,000 hectares in vines, making it the second biggest wine region in the world behind the Languedoc. And it is certainly one of the most popular wine-producing regions with wines for all tastes. The diversity of its soils, its mix of climates and combinations of grape varieties results in Bordeaux producing a very varied range of wines including red, dry white, sweet white, rosé, clairet and sparkling wines as well as Fine Bordeaux, a brandy made from distilled wine. This range means that almost anyone can find a perfect wine match. So let's go and discover more about the grapes and wines of Bordeaux. The Bordeaux region has an excellent environment for growing vines both in terms of the geographical features and the climate. The geological foundation of the region is limestone, leading to a soil structure that is heavy in calcium and comprised of gravel, sandy stone, and clay. The Gironde estuary, along with the Garonne and the Dordogne rivers, greatly influence the regional conditions and provide a maritime climate for the region. 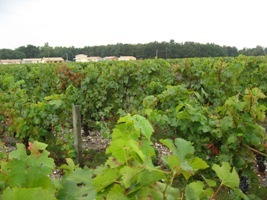 The Bordeaux wine region which is famous for its red wines. Merlot (50%) and Cabernet Sauvignon (26%) are the most important grapes accounting for over 75% of the wine produced. While the white grapes only make up 20% of Bordeaux production, they reign supreme in the expensive sweet dessert wine market with the most expensive and prestigious wines in the world. The dominant grape in Bordeaux (50%), is used extensively in St Emilion and the other Côtes wine region vineyards.Merlot adds flexibility to the 'roundness' and to the body of Bordeaux red wines. It enhances colour, has smoother tannins and matures more quickly than Cabernets. 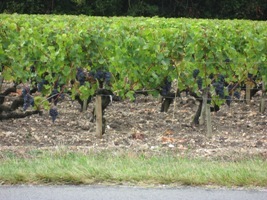 Dominant grape in the Médoc wine region. Cabernet Sauvignon (26% Bordeaux production) is rich in tannins, enhances the structure of the wine and assists ageing. Cabernet Franc (10% Bordeaux production) enhances the structure and 'fruitiness' of the wine with floral tones of violets and light berries. More tolerant of poor soil quality and 'arid' conditions. Sémillon (8% Bordeaux production) It is the main grape for sweet wines, such as Sauternes, due to its ability to develop noble rot. Important for the production of dry, fresh and lively white wines. Sauvignon Blanc (4% Bordeaux production) provides a distinctive aroma of great finesse to Bordeaux white wines. The Graves appellation is located just south of Bordeaux town on the left back of the Garonne. The name comes from the soil which is mixture of gravel, clay and sand carried down by the river. Robust attractive reds are produced, however, 66% of Graves wines are white, ranging from fresh and fruity dry wines to semi-sweet and outstanding sweet wines. World-renowned sweet dessert wines come from Sauternes and Barsac. In the area between the south bank of the Dordogne and the north bank of the Garonne. This area consists largely of river basins of clay/sand chalky soils which tend to compact, making growing of good grapes difficult. 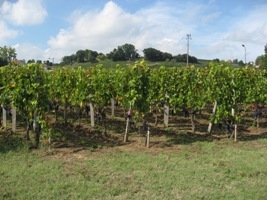 The area produces quality white wines and acceptable reds. However Sainte-Foy reds are grown on chalky soils and tend to have an elegant style and good balance. Situated on the eastern side of the Gironde estuary and north of the Dordogne river, the area contains a range of terroirs and climates. They range from river basins, up the hillsides to high plateaux. 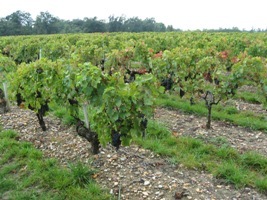 While much of the area is adjacent to the Cognac area, the grape varieties are those of Bordeaux with Merlot being dominant plus Cabernet Sauvignon. In whites, Sauvignon Blanc reigns supreme with Semillon giving an additional fruity finish to the wines. Appellations of the southern part, such as St. Emilion, Pomerol and Fronsac, produce exceptional red wines, with the best Pomerol wines rivalling those of the Medoc in price and quality. Weather: Oceanic and temperate with short, mild winters, quite hot summers, long autumns and a high degree of humidity generated by the Atlantic Ocean.